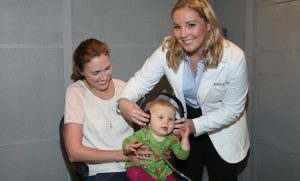 Even if you’re young, hearing loss can still occur, so take advantage of getting your evaluation. In news that may come as a shock to some, having a regular, consistent hearing evaluation is a necessity. Even if you don’t have poor hearing, it’s still something you need to think about for the long term outlook. There’s plenty of benefits that come with the hearing evaluation, and the most obvious one is peace of mind. You can rest easy knowing your hearing is on the correct path with no complications. Even if you’re young, hearing loss can still occur, so take advantage of getting your evaluation. Hearing loss, while capable of occurring at any time, is mostly a gradual process. Whether or not you expose yourself to daily hearing risks, the ability to hear will decrease over your lifespan. Your audiologist will provide you with the best methods, and they may tell you that there’s no need to worry about your hearing, but it’s smart to be aware of where you’re at. The devastation that comes along with hearing loss is actually tough to notice sometimes. What goes even more unrecognized is how hearing loss affects other parts of life. It takes a toll on the emotions, and not only will it leave you with a sense of frustration, but your immediate family and friends will be saddened by your anxiousness. It can have a direct impact on your work life, which is never a positive outcome. People have a tendency to think they’re immune to such a condition, but that’s just not the case. Anyone and everyone can suffer from hearing loss if the circumstances align, which is why it’s imperative that you catch it early. The simplest way to do this is through an annual hearing evaluation. You don’t want to end up in a position where your life is traumatized because you waited too long to get this checked out. The evaluation will give you knowledge of any issues. This entry was posted on Friday, October 27th, 2017 at 11:09 am. Both comments and pings are currently closed.